How to measure Bolt Circle Diameter BCD ? Bolt Circle Diameter or BCD is the diameter of the circle that goes through the center of all of the bolts on your chainring. On bicycle chainring this dimension is usually measured in millimeters. It is critical to know the BCD of your crankset when you are selecting a new chainring for your bike. In many cases the BCD is printed right on the chainring, sometimes it is stamped or engraved on the back side of the chainring. 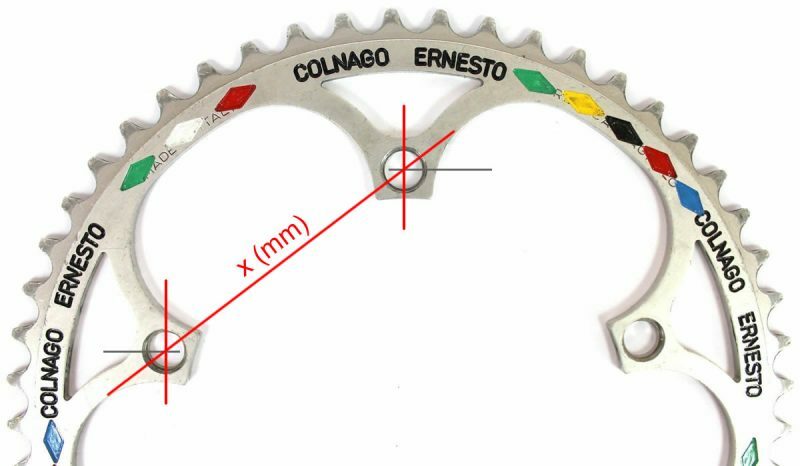 If it is not labeled on your chainring you will need to measure it. On a chainring with 4 bolts the BCD is the distance between two bolts across from each other. Alternatively you can measure the distance between two adjacent bolts and use the table below to determine the BCD. Pdf file that you have to print without editing, making sure that your print settings do not reduce or enlarge it. You just have to put your chainring on the sheet, make the holes match and read the number, easy! 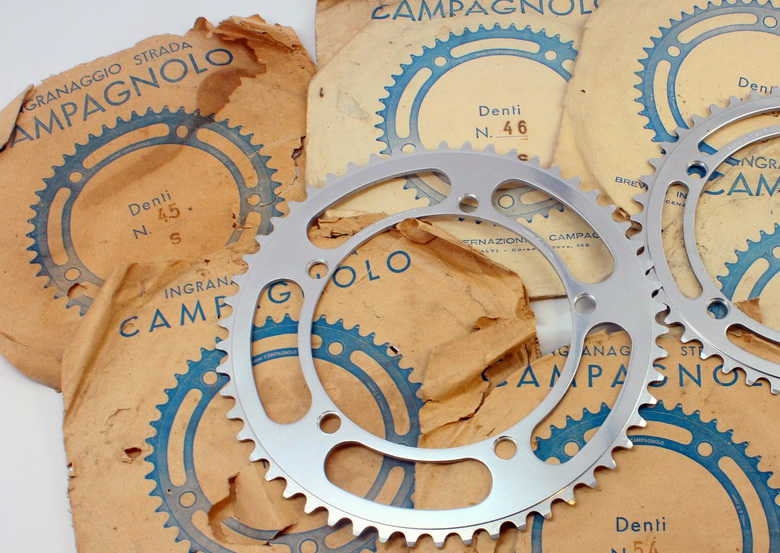 This entry was posted in News, Restored, Web and tagged bcd, bolt, campagnolo, catena, chain, chainrings, circle, corona, diameter, guarnitura, oldbici, size.